Greater Ohio Policy Center is excited to announce that Mayor Michael Coleman will be the lunchtime keynote speaker at the GOPC Summit, Restoring Neighborhoods, Strengthening Economies. Mayor Coleman will speak at noon on June 9th, the first day of the Summit. Since taking office in 2000, Mayor Michael B. Coleman has built Columbus’ reputation as one of the most livable cities in the nation by building stronger, safer neighborhoods, creating jobs and maintaining a high quality of life. 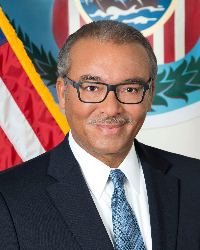 Mayor Coleman is the first African-American and longest-serving mayor in Columbus history, the 3rd longest serving Mayor in the country, and the longest-serving African-American mayor among major U.S. cities. “Coleman seems to focus relentlessly on the kind of urban renewal that will make Columbus attractive to the next generation,” wrote Matt Bai in Yahoo! News in December of 2014. Mayor Coleman will be one of the many leaders who will be sharing innovative ideas and new approaches for transforming Ohio’s cities and regions for a new era at the Summit. Don't miss this unique opportunity to hear from many of the leading voices of revitalization at this one-time-only event. The discounted room rate at the Westin Columbus is available until May 19, 2015. Click here to register now and make a reservation. Also, Make Sure to Join Us for the Networking Reception with Members of the Ohio General Assembly! On June 9th, from 4:15-6:15pm at the Westin Columbus, Greater Ohio Policy Center is hosting a networking reception with Representatives and Senators from across the state. Click here to register now and join us for this special event that is part of the Greater Ohio Summit. Want to know who else is attending? Click here to see the list of attending organizations. Older PostDonate to GOPC on May 12 and boost your dollars!